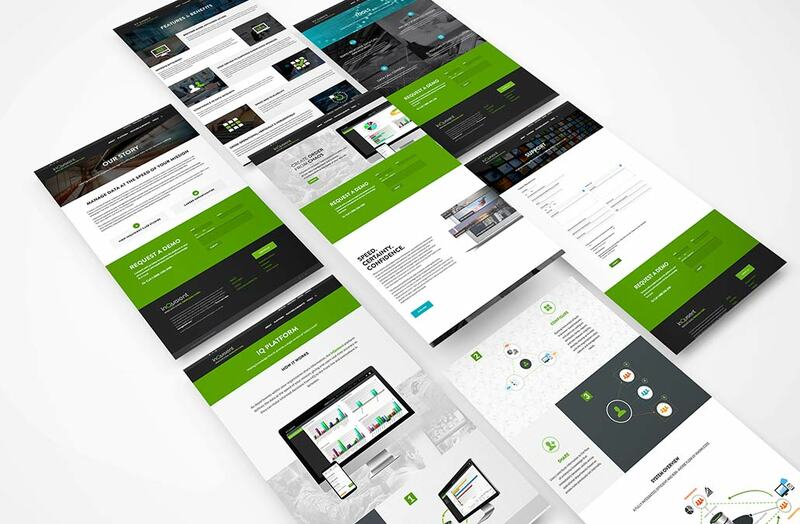 Innovative Big Data Advanced Analytics & Reporting SaaS Developer Intelligently Rebrands to Attain Access, Premium Positioning, and Growth with Discerning Intelligence Community & Government IT Markets. Rebrand the corporate name from a generic corporate name to a bold corporate name that will effectively evoke an instant connection between Big Data and Business intelligence and the user community that it serves. And then support it with a strong marketing tagline. 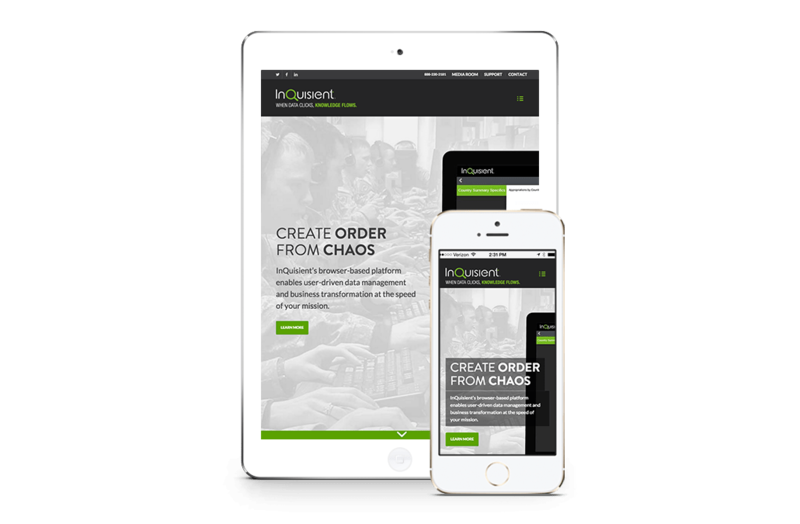 Create a branded User Experience and User Interface that will market the company’s superior ability to deliver intuitive and user-friendly reports on the fly. Develop a professional integrated marketing collateral and content marketing suite of sales enablement tools like webinars, video testimonials, and 20” tradeshow booth display to support the company’s brand kickoff at the USGIF’s GEOINT Symposium, the preeminent event of the year for the defense, intelligence and homeland security communities. Partnering with InQuisient’s executive management, Borenstein Group leveraged its expertise in high-tech marketing and branding along with its proven experience in crafting value propositions in the defense and intelligence sector, to develop a winning digital marketing communications strategy to help the client meets and exceed its objectives. Borenstein Group first rebranded the company from its former name “Enterprise Elements” to an original high-recall corporate brand of “InQuisient”, an inventive word play designed to appeal to the Intelligence Community and reminding users of the Inquisitive nature of the platforms big data reporting features, that instantly connected with the target audience of buyers, stakeholders and influencers. Borenstein Group then proceeded to create the tagline “InQuisient: When Data Clicks, Knowledge Flows.” And then designed an award-winning responsive and intuitive website along with suite of effective marketing collateral such as corporate capabilities brochure, case studies, video testimonials, and a tradeshow display that drove hundreds of sales leads to InQuisient’s management at the GEO-INT show from agencies such as Defense, Homeland Security, and other programs in need of their offering. 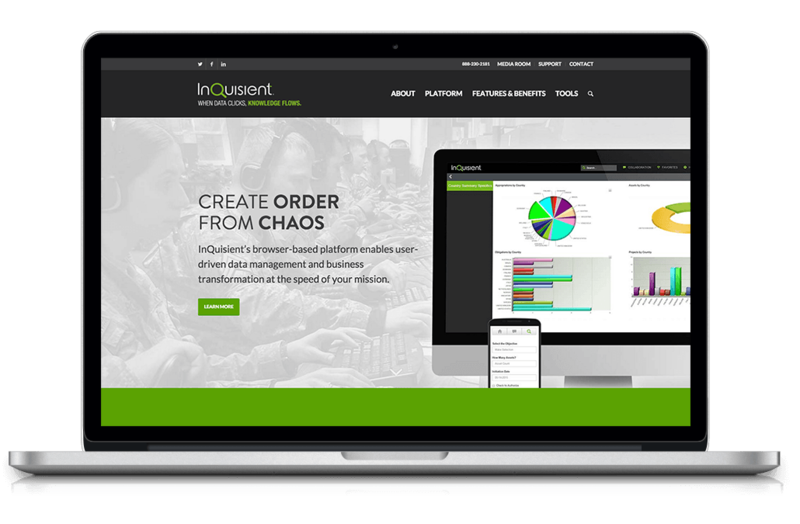 Powered by Borenstein Group’s creative and strategic marketing acumen, InQuisient was able to achieve measurable brand awareness swiftly and maximize its marketing trajectory for growth. 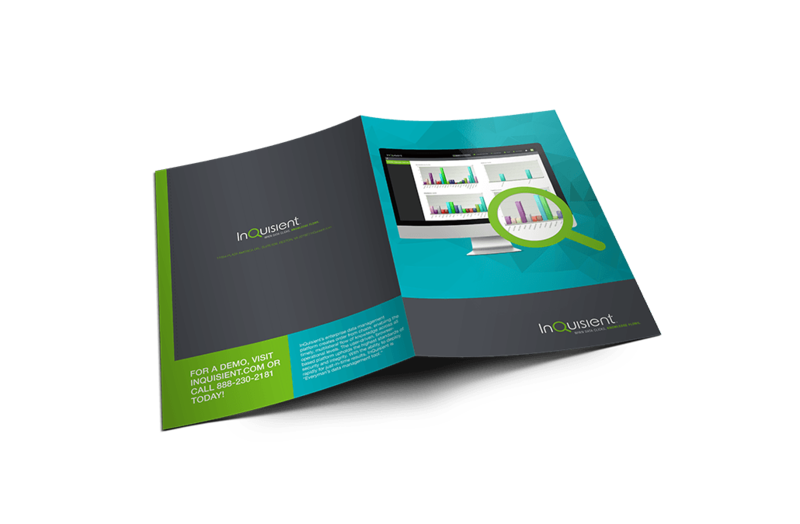 InQuisient rolled out a series of SaaS platform tools for Government IT executives in areas such as FITARA, IG Assessment Data Collection, as well as serve discrete data collection needs of Intelligence Community programs. 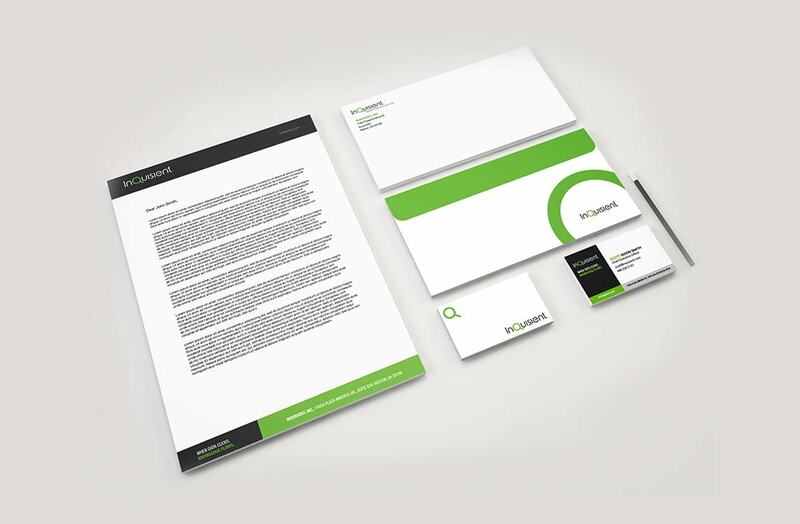 Moreover, InQuisient’s rebranding project received the International Davey Award and accoladed for its fresh and modern design.